There is now a second edition of Evolution: Making Sense of Life, by Carl Zimmer and Douglas Emlen, one of the very few textbooks I have come across that can be read for pleasure. Much as I deplore the US textbook publishers’ practice of issuing a new edition every very few years, this means that the first edition, which came out in 2013, is going to be available very cheaply for all of us who aren’t using it for of course credit and can tolerate the occasional underlining. 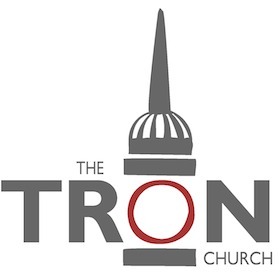 Carl Zimmer (whose formal university education was in English, at Yale) is one of our most engaging current writers on evolution, and if you have not yet subscribed to his blog, The Loom, I urge you to do so. Douglas Emlen’s lab website clearly shows his passion for sharing the excitement of evolution science, and I have already reviewed his award-winning book Animal Weapons. For much younger readers, the PDF of Jonathan Tweet’s Grandmother Fish, which I have also reviewed, is available as a free download, which qualifies it for a mention here. The physical copy, beautifully produced and printed, is now available in the US from Amazon, and I have advised Jonathan to look for a UK distributor. Answers in Genesis concedes that “the author and illustrator do a good job of simplifying evolution through words and pictures and using terminology that is kid-friendly,” so that “it is exactly those points that make the book so deceptive.” As most readers will realise, “deceptive”, as used by Answers in Genesis, is a technical term meaning “a good argument against Young Earth creationism”. I congratulate Jonathan on having earned this accolade. At one time, I got interested in the seemingly simple question (to which I might well return one day) of whether zebras are horses that have acquired stripes, or horses are zebras that have lost them. 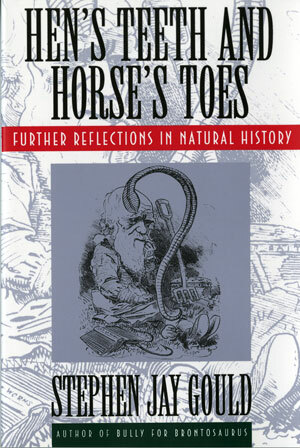 Stephen J Gould, it turned out, had written a perceptive essay on this very topic in Hen’s Teeth and Horse’s Toes. When I went looking for this volume, I found out to my surprise that I could get hold of it, and many others in Gould’s magnificent series of essays, for pennies plus postage. (Here, one good search strategy is to start with Amazon, look for the “From” options, and then, where possible, contact the sellers directly. That way, I help the independents stay independent. For UK readers, I would also recommend searching Abe Books, although I was saddened to learn that they too are part of Amazon; I would be happy to learn of other equivalents). Finally, most obviously, and still greatly underused even by professionals, the huge reservoir of literature available for free download in a wide variety of formats. This resource could be, and should be, even more valuable, but is limited by outrageous copyright restrictions; for no reason I can tell other than the special interest of Disney Corporation, the copyright on a work now only lapses 70 years after its creator’s death. So JBS Haldane’s seminal 1929 article The origin of life will not be out of copyright until 2034 (though if you can find it online, here for instance, you can get away with downloading a copy for individual study). And for Ernst Mayr’s 1923 paper on birds in Saxony, instrumental to his crucial redefinition of the species concept, you will have to wait until 2075, However, we have all the published works and much of the voluminous correspondence of Charles Darwin, to say nothing of TH Huxley, Charles Lyell (for all his writings, and for other seminal works on geology, many of them also available for free, see the Geological Society’s Lyell Collection), James Hutton, and even William Jennings Bryan. Legal proceedings are also in the public domain, regardless of time. So what shall we say of scholars and commentators earnestly debating Darwin’s own views on religion, in evident ignorance of what he himself tells us on the subject, in his freely available and beautifully written Autobiography? Summary: a doctrine that doesn’t deliver, the usual rhetorical tricks, begging the question, ignoring the evidence, distorting the science, and leaving all the work still to do. I promised friends I would review this, so here it is. Fortunately, a paragraph by paragraph review has already been carried out by my BCSE colleague, Dr Robert Saunders, Reader in Molecular Genetics at the Open University, so I can be brief. 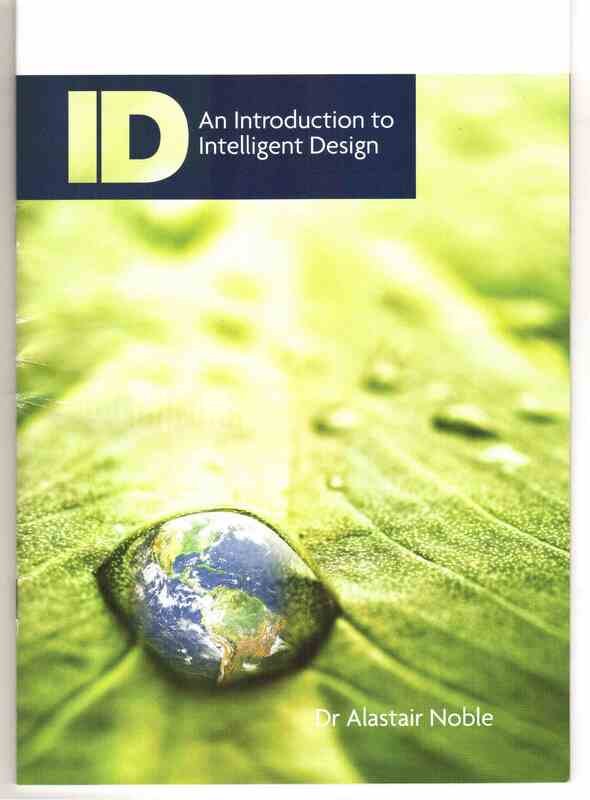 This pamphlet is indeed a worthy introduction to what now goes by the name of Intelligent Design. Quote mining, baseless claims, ignoring of established facts, repetition of long exploded arguments, and, at the heart of it all, a purported explanation of phenomena that proves on examination to explain nothing. All as a thinly disguised excuse to discard what we actually know about deep evolution and, in the ID movement on this side of the Atlantic at least, about deep time. Now to detail. First, the virtues of this pamphlet. It is short; the text runs to less than 16 pages. It clearly and undeniably exemplifies the logic, and rhetorical devices, of the contemporary Intelligent Design movement. despite a £2 pricetag, it cost me nothing, having been given away at Dr Noble’s recent talk at Al’ Furqan Masjid Community Hall in Glasgow, organised through Scotland’s Interfaith Council (a charity that receives public funds). And it contains three arguments with which, as Dr Noble might be surprised to learn, I agree. I agree with his claim that we do not know the origin of life. I also agree that that science should not restrict itself a priori to natural causes. In my only professional level publication on the philosophy of science, I argue that, on the contrary, our preference for natural causes is based on experience. And I also agree with Dr Noble that the multiverse hypothesis is highly speculative, that we lack the means to test it, and that fine tuning continues to present an interesting challenge. Next, everything else. Note that what follows applies to the 2013 print edition. Online and earlier versions may differ; I have not checked. Problems start in the first paragraph. About the Author describes Dr Noble as “a professional adviser to secondary school teachers.” This is disingenuous. He is the Director of the Centre for Intelligent Design, not a disinterested author. But that’s a small matter. We rapidly move on to the now traditional list of Great Scientists who believed in an Almighty Creator. And so they did. So, as I have explained here and here respectively, did James Hutton, originator of our modern concept of deep time, and, at the time when he wrote On the Origin of Species, Charles Darwin (Autobiography p. 93). So do many distinguished contemporary evolutionary biologists, ranging from the Evangelical Francis Collins to the Catholic Ken Miller, whom I will be mentioning again in this review. I wonder why the ID crowd never talk about any of these. Then the next traditional feature, the Mined Quote. So we have Einstein, although Noble is surely aware that Einstein regarded belief in Noble’s kind of God as infantile. We even have what Michael Denton wrote in 1985, ignoring the fact that his views had changed dramatically by 1998. And of course the claim, which has been around since the 1920s, that more and more scientists are abandoning naturalistic evolution in favour of supernatural processes. 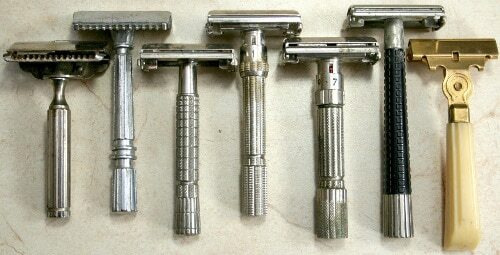 Safety razors (Noble’s example) are complex, well adapted to function, and designed. Living things are complex and well adapted to function. Therefore living things are designed. This is essentially Paley’s argument, which Darwin himself found impressive as an undergraduate (Autobiography, pp. 59, 87). However, the entire point of natural selection is that it explains how living things can become well adapted to function, without the intervention of a designer, and the entire history of life is a story of how this has happened. ID’s immediate appeal to a principle of design rules out at a stroke everything that has been gained by two centuries of investigation. To bolster his claim, Noble repeatedly asserts that random change cannot generate what William Dembski has called “complex specified information”, and even goes so far as to say (p. 9) that “We know that information can only arise from prior intelligence”. He admits that evolution can function up to a point, which he calls “microevolution”, but (p. 28) makes a bizarre assertion that “Microevolution necessarily involves an overall reduction in the amount of genetic information.” This is false. Some information may be lost when less fit variants within a population tend to die out, but we know that information content is being continuously replenished by mutation, at the same time that it is being winnowed by selection. All this was worked out almost a century ago, with the development of population genetics, while Dembski’s specific probability arguments crumble in the face of a recent theoretical analysis of the time required for complex information to evolve under natural selection. Next, the appeal to specified, or even irreducible, complexity, and Noble asks us to consider the eye, the ear, and that old standby the bacterial flagellum. Here, Noble actually states that ID would fail if “there is a clear step-by-step evolutionary pathway with all the intermediary stages to a bacterial flagellum or similar irreducibly complex structure which can be generated by mutations alone.” If by “mutations alone” he means mutations without selection, he is asking for something that reality does not offer. If he means an account of how the bacterial flagellum could have emerged from earlier structures, this was famously presented at the Kitzmiller v. Dover Area School Board trial, where Ken Miller testified on this very point (here, pp. 12 on; for more on Miller on the flagellum see here). If Noble then complains that that account does not include a historically reliable account of all the intermediate stages, he has missed the entire point of his own argument. 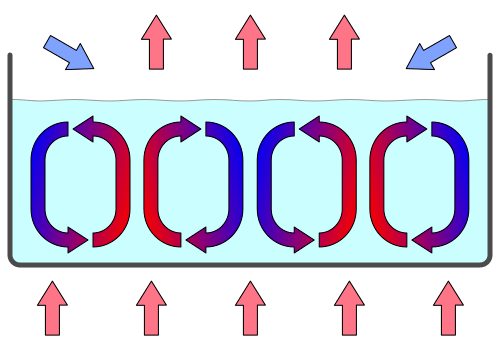 Irreducible complexity, if it means anything, means that the structure could not possibly have emerged through naturalistic evolution, and Miller’s testimony readily explains how it could. There are other minor absurdities. 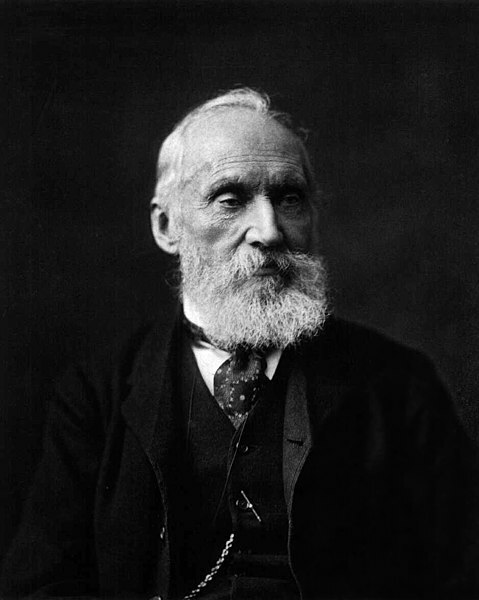 Noble suggests that the fact that water is a liquid depends on tiny variations over and above the general rules of chemical bonding. As a chemist, he should know better, since the “hydrogen bonding” that holds H2O in the liquid state is a consequence of the same set of rules that makes the closely related substance H2S a gas. He also claims that complex life requires the moon to be exactly the right size and right distance, otherwise Earth’s axis would become unstable. I am mystified, unless he is running together two separate claims, one (plausible) regarding the stabilising effect of a satellite, and the other (ridiculous, but taken seriously within the ID community) that regards us as privileged because we are on a planet where we can observe both total and annular eclipses. And like the rest of the ID community, he misinterprets the ENCODE project, which showed that 80% of the human genome is biochemically active. We are invited to infer that DNA is perfectly designed and free of junk. But consider the “onion test“; in brief, an onion contains five times as much DNA in each cell as a human; does anyone imagine that it contains five times as much complexity? Finally, my most severe criticism of ID, which I have already stated here very briefly. It doesn’t answer the question. For a safety razor to come into existence, we need, not only design, but fabrication. And when we come across any natural feature that requires explanation, invoking ID merely leaves us two (or, if the use of ID involves rejecting naturalistic evolution, three) problems for the price of one. We have the problem of accounting for all the evidence for evolution by trial and error tinkering, combined with natural selection and genetic drift, ranging from biogeography to developmental embryology to anatomical (and now molecular) phylogeny, and much much more. We have the problem (although I suspect that for Dr Noble this is not a problem at all) of specifying the nature, provenance, and motivation of the designer (or Designer). And finally, worst of all, we still don’t know how it happened. Paley’s watch implied, not just a watch designer, but a watch assembler, a parts manufacturer, a toolmaker, a metallurgist… Unless the Designer just wills complete structures into being, in which case there’s no point even trying to do the science. In short, this pamphlet delivers what it promises to, but the doctrine that it is promoting does not. Dr Noble repeatedly and sincerely asks us to open our minds; he is unaware that ID is an invitation to close them. 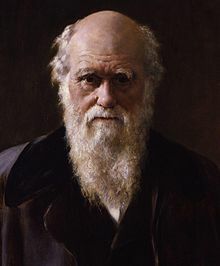 February 12th 2009 saw the bicentenary of Darwin’s birth. Along with Isaac Newton he was one of the greatest British scientists, though his science is still controversial. To some he was a great scientist and to others the devil incarnate! He was a quiet family man, whose life was marred by illness. 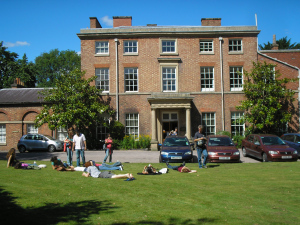 He was born into an affluent home in Shrewsbury and went to Cambridge to study for the Anglican ministry. 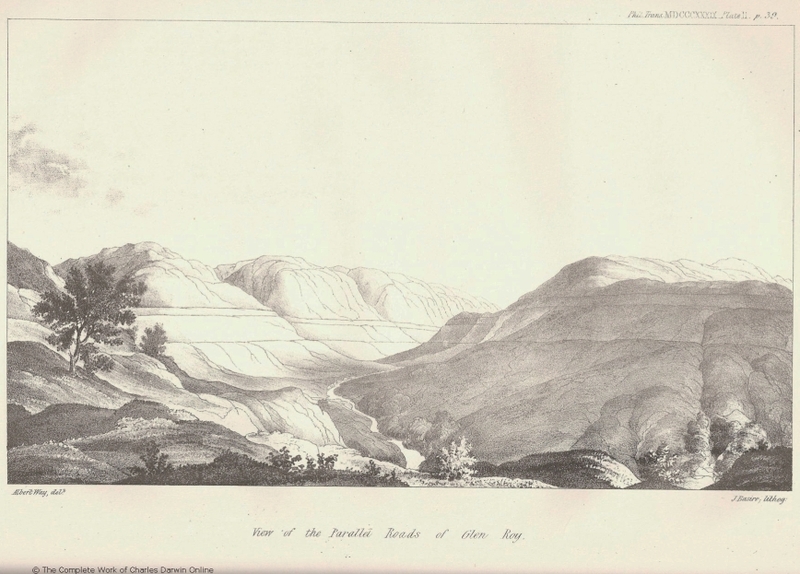 In 1831 he was invited to join the Beagle to sail round the world. That changed his life and the course of science. 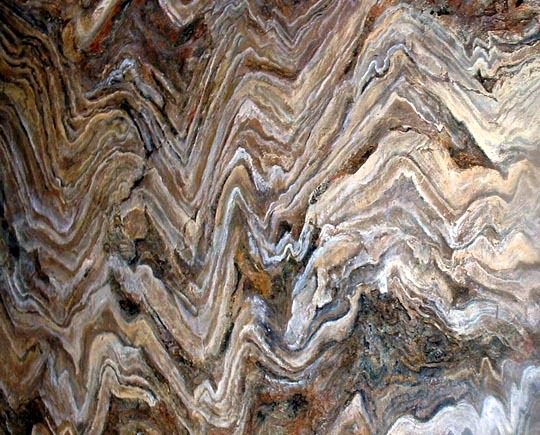 On that voyage he was more interested in geology and only later “moved” over to biology.